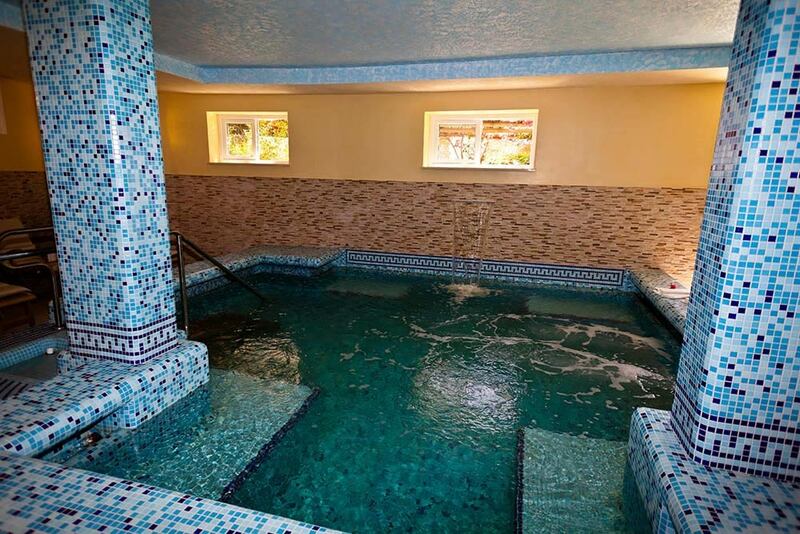 At our wellness hotel on the bay of Citara you can relax and swim in the 2 geothermal water pools, one indoors and one outdoors. 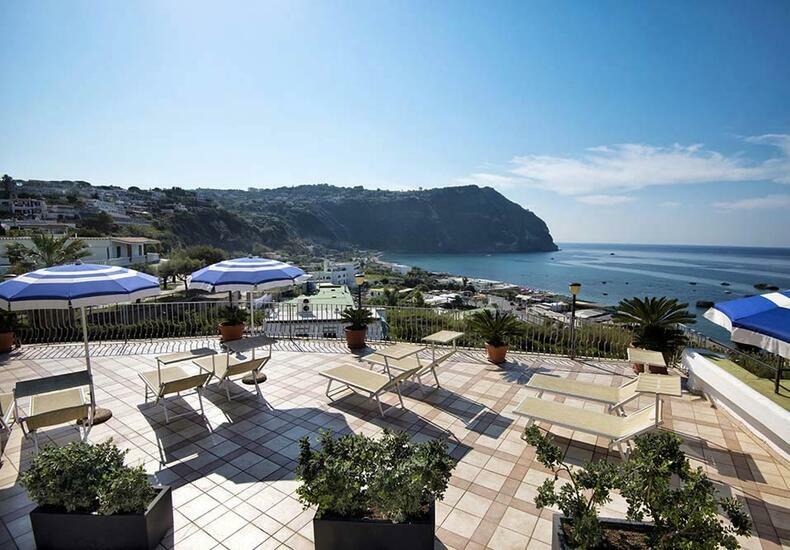 Next to the outdoor pool you will find a large panoramic terrace set up as a solarium area, from where you can admire the entire bay of Citara in all its beauty. 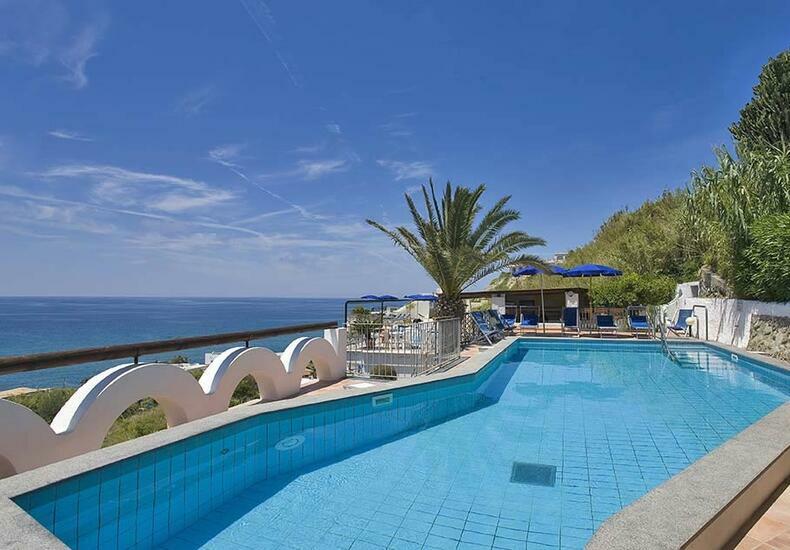 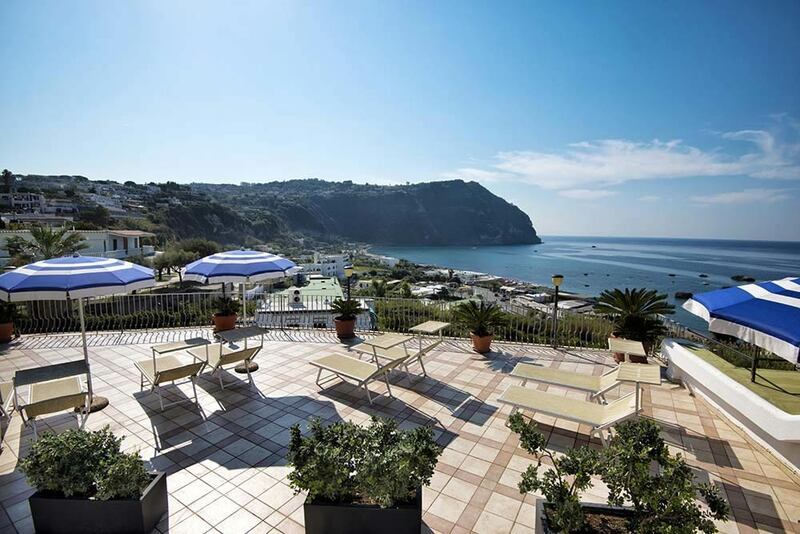 The hotel does not have a wellness center of its own but from here you can easily reach the wonderful Poseidon Gardens, the true temple of wellness on the island of Ischia. 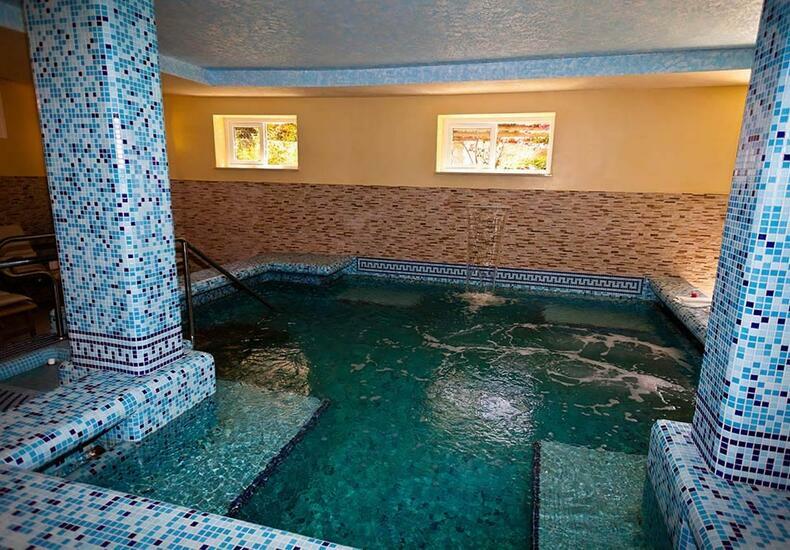 The newly built indoor geothermal Wellness pool is perfect on days when the weather is bad. 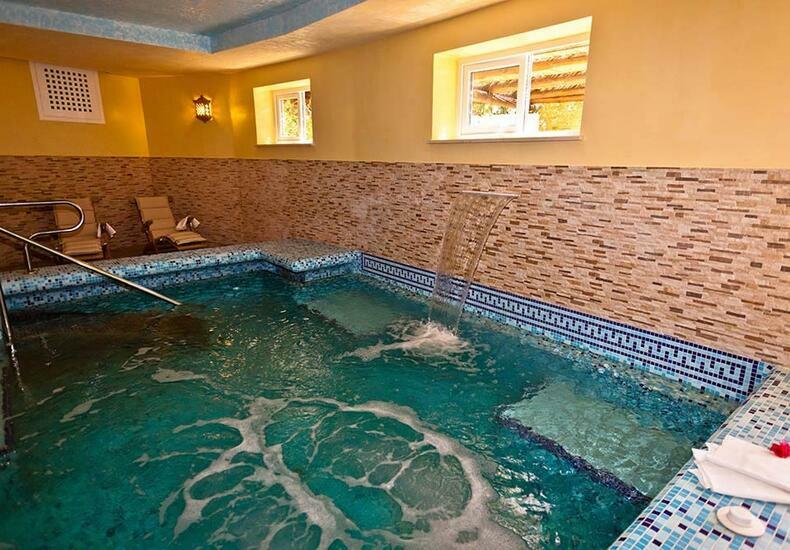 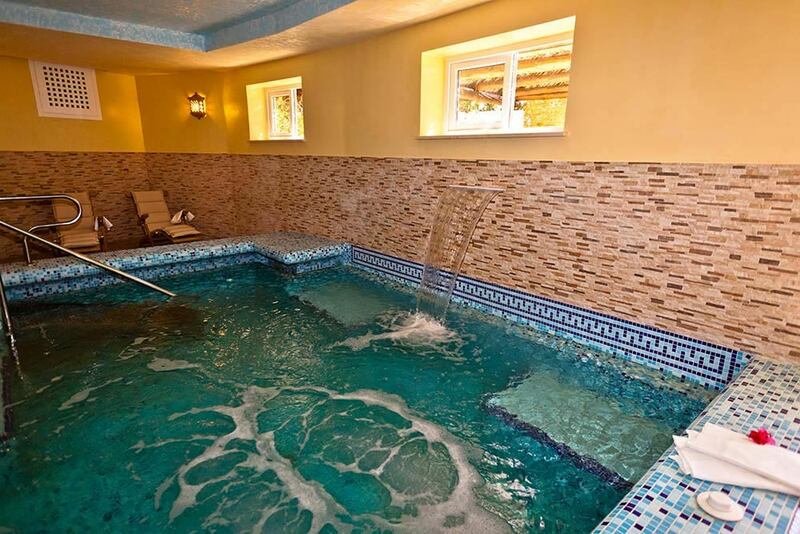 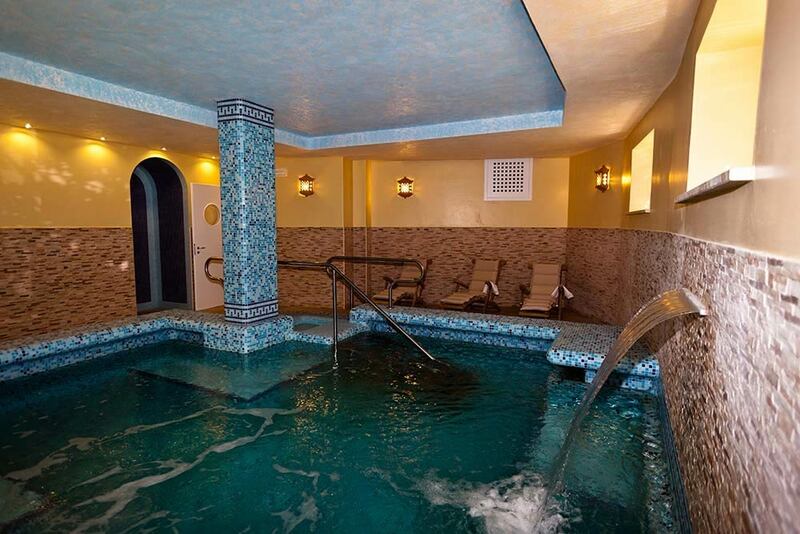 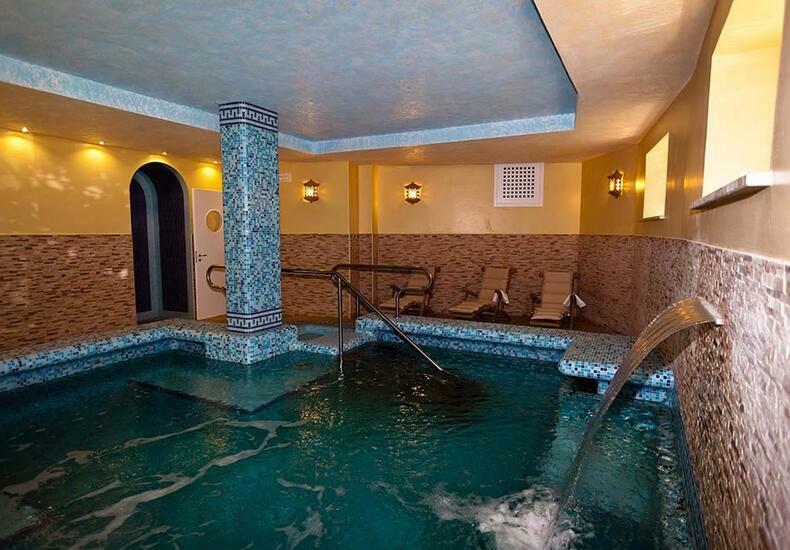 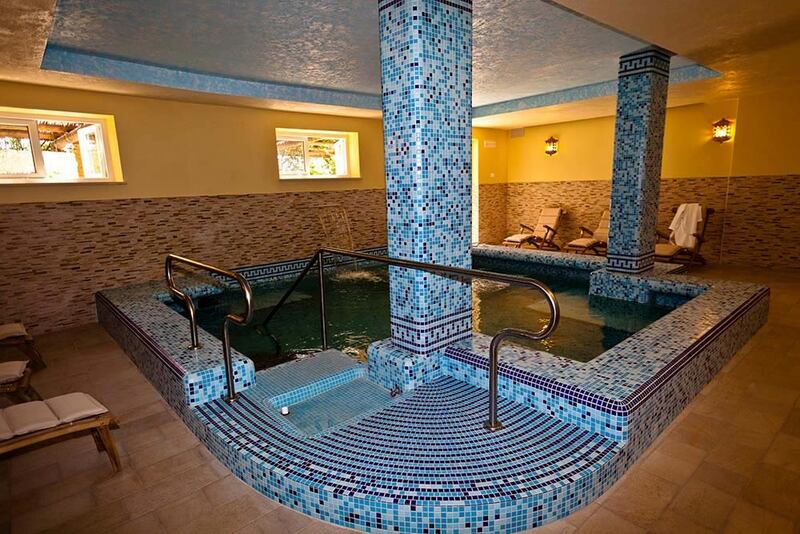 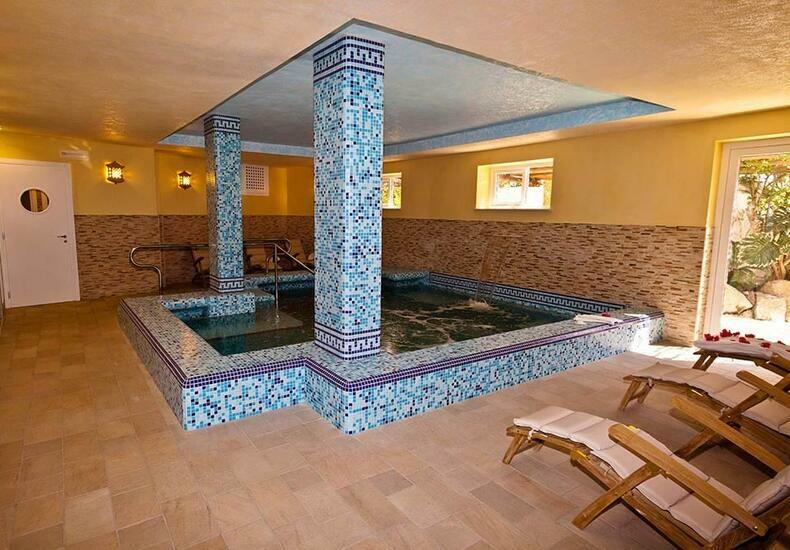 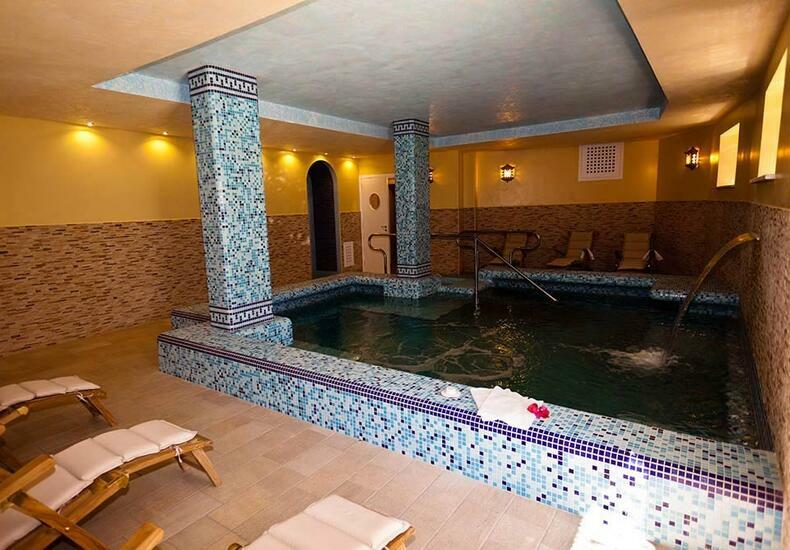 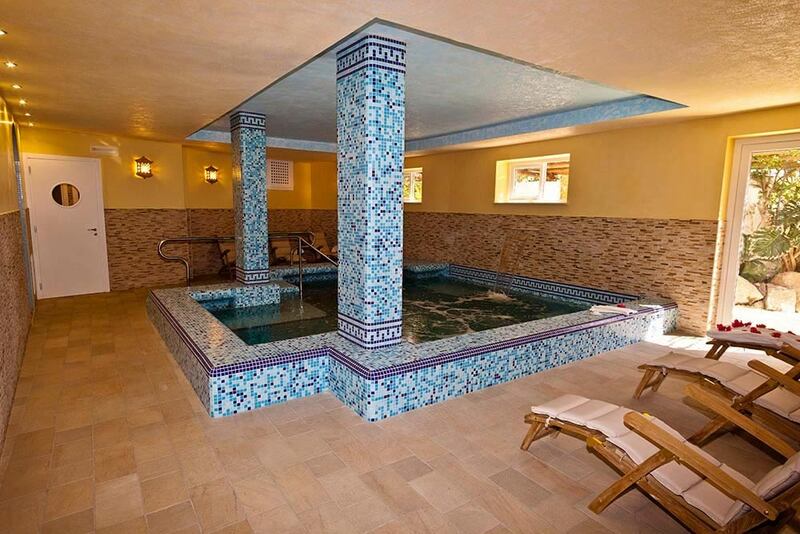 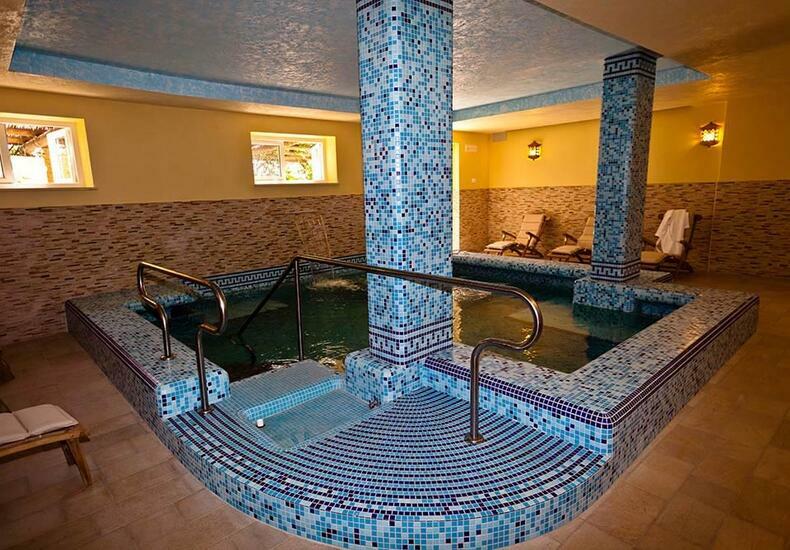 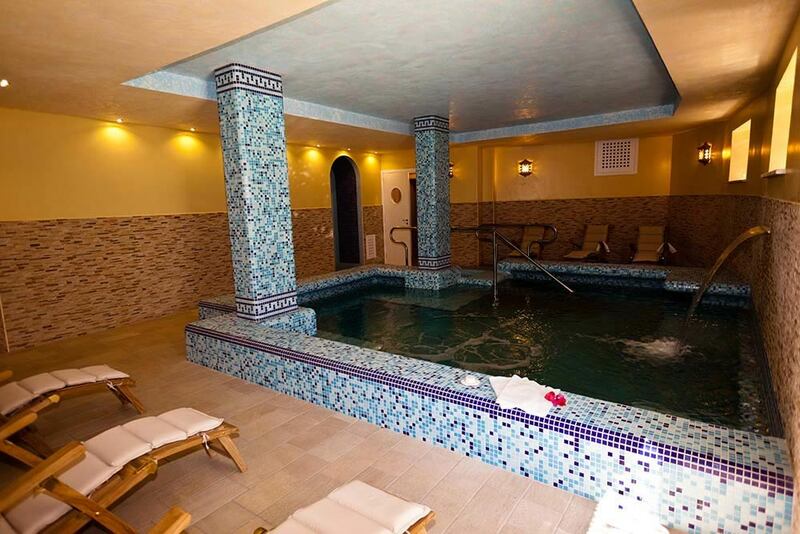 Here you will find a cervical shower, whirlpool and relaxation area equipped with chaise-longs. 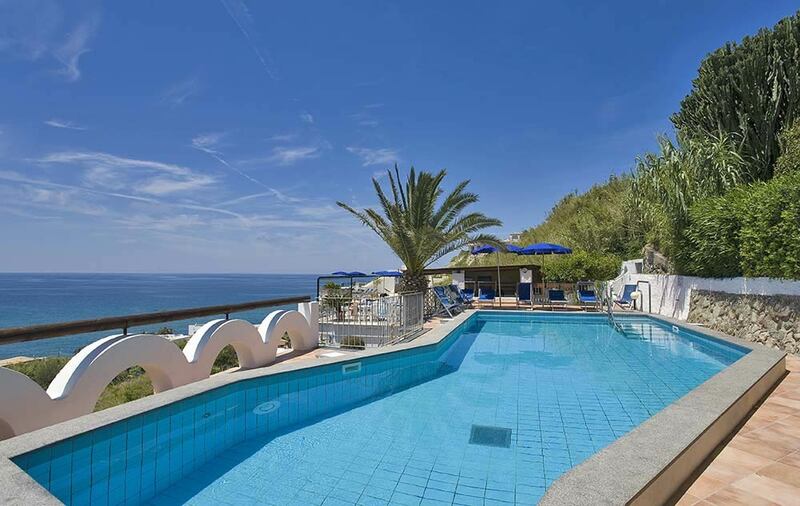 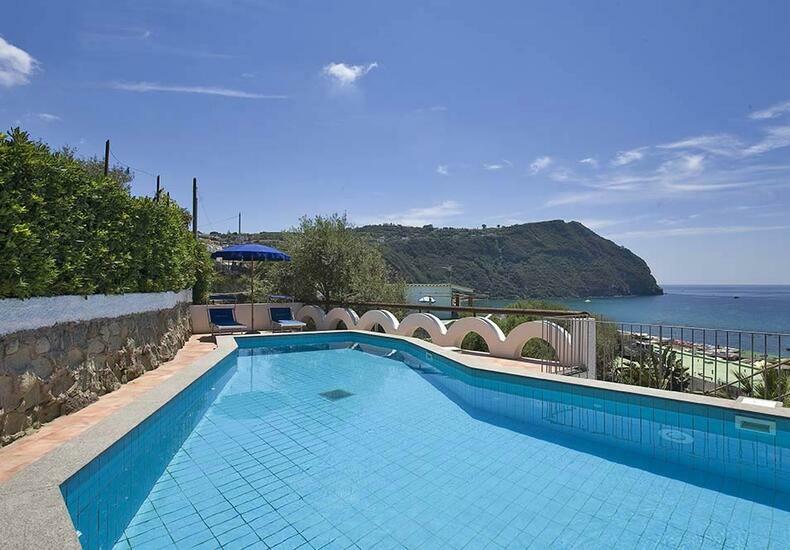 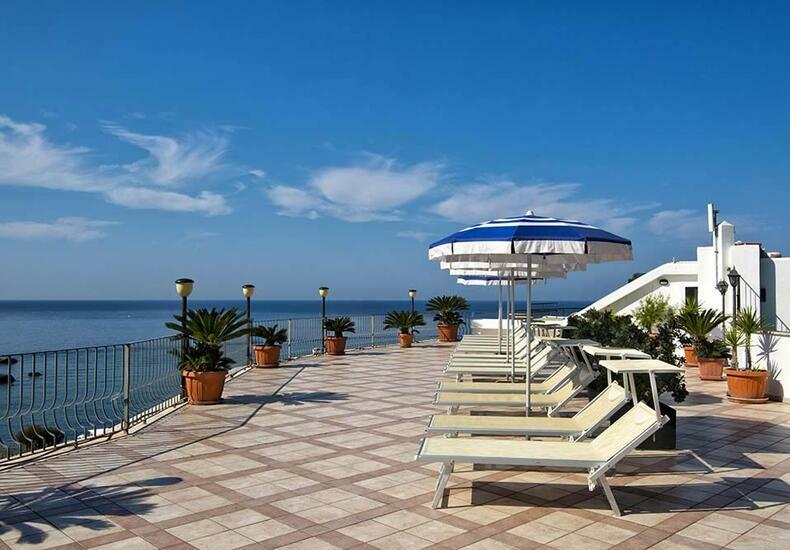 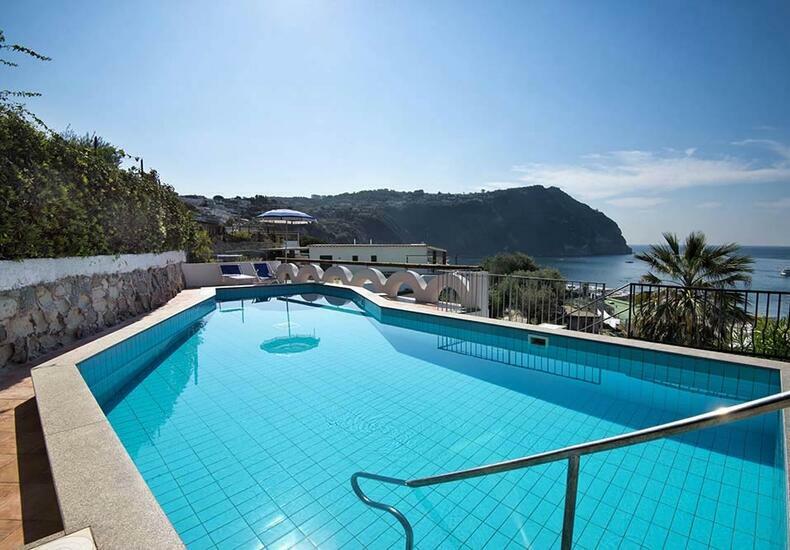 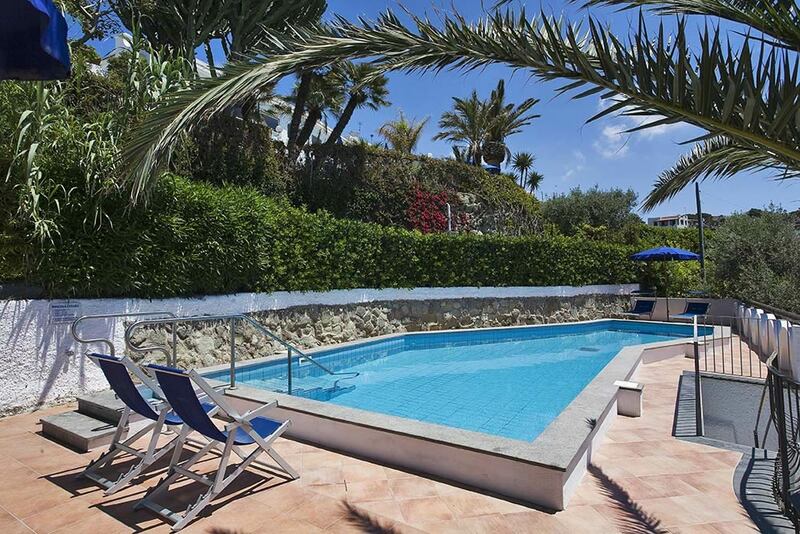 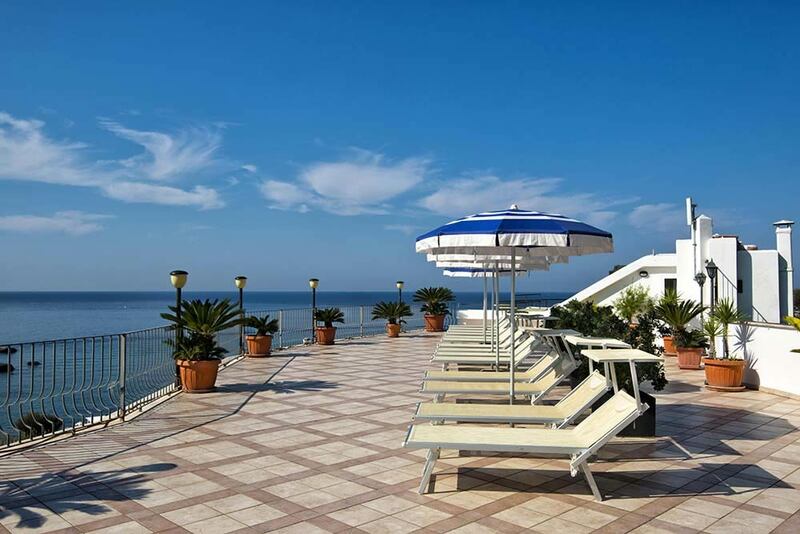 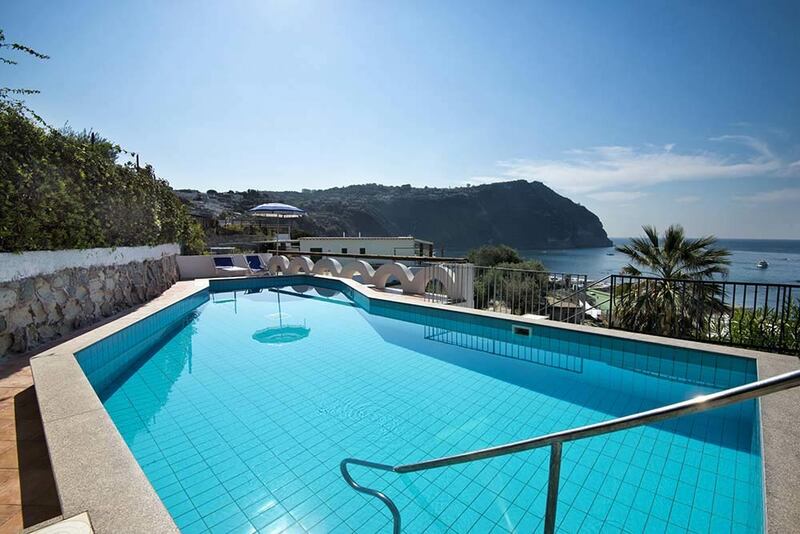 The outdoor geothermal Citara pool and the adjoining solarium equipped with umbrellas and sunbeds are the ideal place to relax in the sun, perhaps after a day spent at the seaside or in the surroundings to discover the beauty of Ischia. 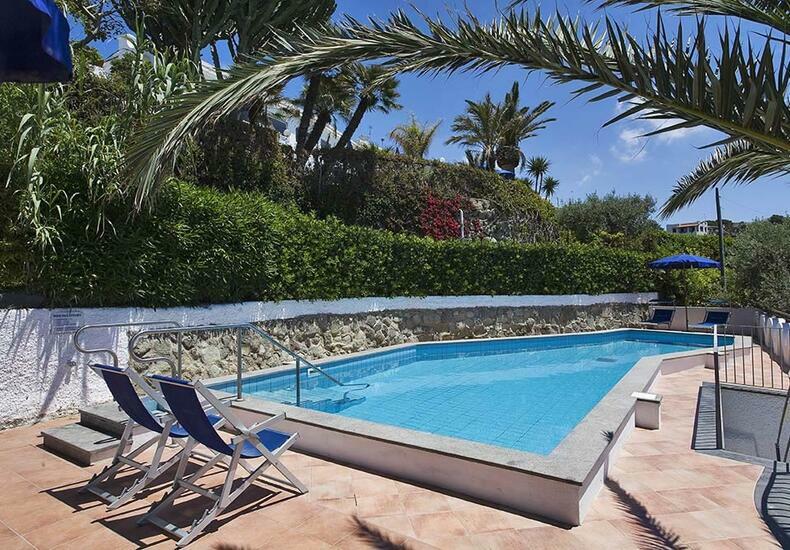 The pool is heated at a constant temperature of 32 degrees.